Originally from Geneva, Switzerland, Dr. Mascarotti has been practicing Holistic Medicine in the Bay Area for the past 25 years. As clinical director of Esprit Healing Center, he uses a combination of alternative therapies in his practice, including Nutrition, Herbal Medicine, Physiotherapy, Homeopathy and Chiropractic. He has worked with Doctors of Internal Medicine, Neurology, Physiatry and Occupational Medicine and teamed up with Physical Therapists, Acupuncturists, Certified Massage Therapists, Psychotherapists and Skin Therapists as well. 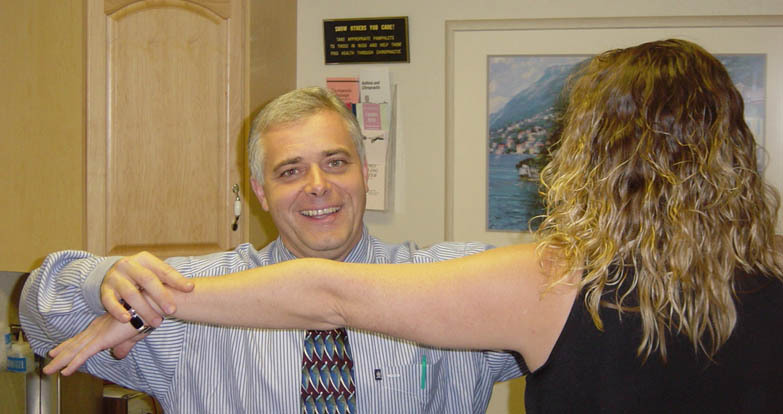 Drawing from his European and American experiences in alternative medicine, Dr. Mascarotti offers a unique healing experience and environment for his patients. Dr. Hsu is originally from Beijing, China. He learned Acupuncture and Traditional Chines Medicine from one of the greatest Masters in Beijing, Professor Xie from the Chong Wen District Hospital. For four years, Dr. Hsu studied the difficult and extensive art of Traditional Chinese Medicine. He has been practicing Acupuncture for more than 20 years. Shortly after his arrival to United States, he enrolled himself at Samra University, Los Angeles, and graduated as a licensed Acupuncturist in the State of California. His degree granted him the title of Doctor of Oriental Medicine. His smile and gentle caring way has brought him many praises. Many patients have complimented him on his almost painless use of Acupuncture needles. His treatments help people to fight stress and increase their energy level. His long tested therapeutic techniques have relieved acute and chronic pain many patients. Also, symptoms such as digestive disorders, fatigue, allergies, headaches, menstrual problems, stroke, hypertension, insomnia and dizziness have responded well to his therapeutic style. In addition, he has an extensive knowledge of Chinese herbal medicine and he enjoys creating therapeutic herbal teas, each carefully blended to the individual. Dr. Hsu's knowledge of Traditional Chinese Medicine is simple, humble and very effective. Margaret 's mission is to bring about balance and harmony to the mind, body, and spirit through the usage of therapeutic massage. Focusing on one person at a time, she acts as a liaison to bring forth an awakening and renewed sense of ownership of an individual’s body. By imparting her knowledge of anatomy and health issues, her clients will be able to fully appreciate the capabilities of their own physical being while becoming more aware of the abstract realm in their mental and spiritual component. Margaret acts as a "holistic link" until the individual is ready to embrace all parts that make a person whole. Her hobbies include singing Jazz and outdoor activities.